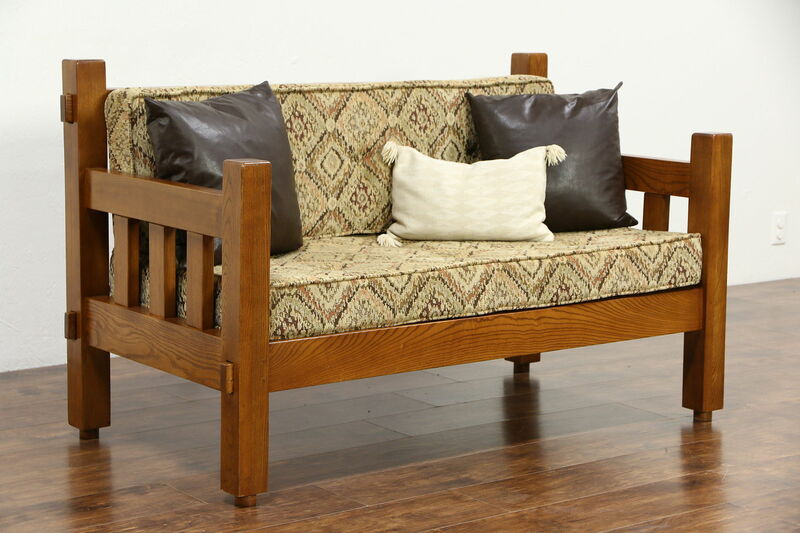 A loveseat or settee in the Arts and Crafts or Mission Oak style is signed "Lorian Luper, 1994." Cushions are newly upholstered and zippered. Solid quarter sawn oak, the frame is solid oak in the Craftsman style with an excellent finish. Measurements are 55" wide, 33 1/2" deep, 28 1/2" tall and the seat is 18" high.